From understanding a customer's buying behavior to helping them buy what they like, technology has changed the shopping experience of a tech savvy customer. 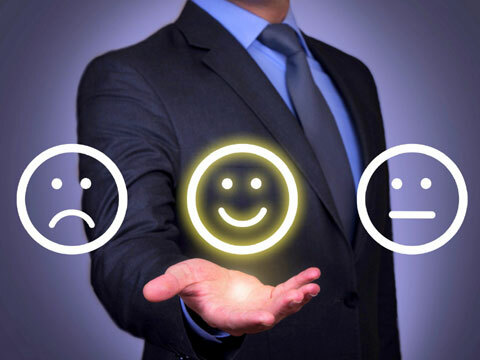 But is technology helping retailers analyze customer satisfaction? Let's know more. As shopping shifts from physical to digital, so have the methods to understand a customer’s buying behavior, and the overall shopping experience. Gone are the days when retailers handed out feedback forms to customers and conducted a manual survey to understand a customer’s shopping experience. On most occasions, customers rate their experiences even before they pay and check-out. While leveraging technology to understand customer experience has become a crucial game-changer for retailers, they agree that catching the customer experience then and there is the right way to go, if a retailer wishes to retain customer satisfaction. From personalizing experiences to analyzing a customer’s purchase pattern, emergence of big data and machine learning have helped retailers, whether big or small, to understand what a customer needs. No longer are giants like Amazon or Google only privy to this data, thanks to technology again, even small players are now in a place to receive customer information that are valuable to them. While machine learning becomes significant to understand a customer, avoiding technical glitches and enabling hassle-free shopping is imperative too, he adds. “Near continuous availability of data is at the heart of delivering an unmatched customer experience and as businesses aim to deliver on-demand customer requirements, any downtime of application which might result in loss of critical data can impact a customer’s journey across various touch points. Victory over unpredicted downtime amongst other technical glitches will pave way for customer retention,” he says. With online shopping, mostly over smartphone, taking over store visits and desktop buying, there have been enormous changes in the way a brand approaches a customer. For instance, tracking that a buyer is looking for a particular product on exclusive websites, e-commerce players have stepped up the way a buyer’s choice is influenced. If a customer is looking for footwear or a handbag on brand websites, Amazon could share links to the same product with better discounts to engage the customer. Prasad highlights that retailers track customer behavior to understand their purchase patterns and why on some occasions cart abandonment is high. “Customer engagement has always been very important for any brand, but now with evolved technology like big data and machine learning, customer problems are resolved immediately, leading to better customer satisfaction. This is a positive trend, which will eventually lead to better sales,” he says. Understanding that customers need more access to information and mobile phones are the best way to reach them, most brands provide information, reports, updates in a way that is easily accessible via a mobile device. Most often, technology to keep data in a cloud environment and mobile applications are used to display important information so the customer can access it on the go. This has added to the convenience of shopping. If you have a highly profitable and unique retail business, it’s time to let the world know about your brand. Participate in Franchise India Show, India’s first ever Franchise reality show only on Times Now and stand a chance to win prizes worth Rs. 5.2 Cr. Click here for registration.